As the season changes and the colder months loom, give your home the attention it deserves. Invest in some luxury home accessories to refresh the look and feel of your living space. 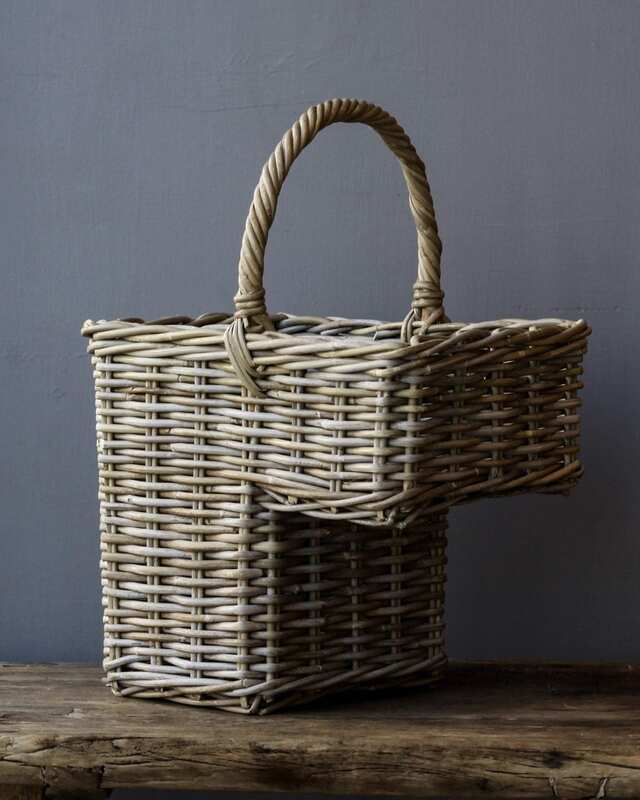 From decorative designs to practical pieces, our home decor selection features accessories designed to add the finishing touches to any space….telling the story of you. They say first impressions count for everything. Does your hallway offer a warm welcome to guests? 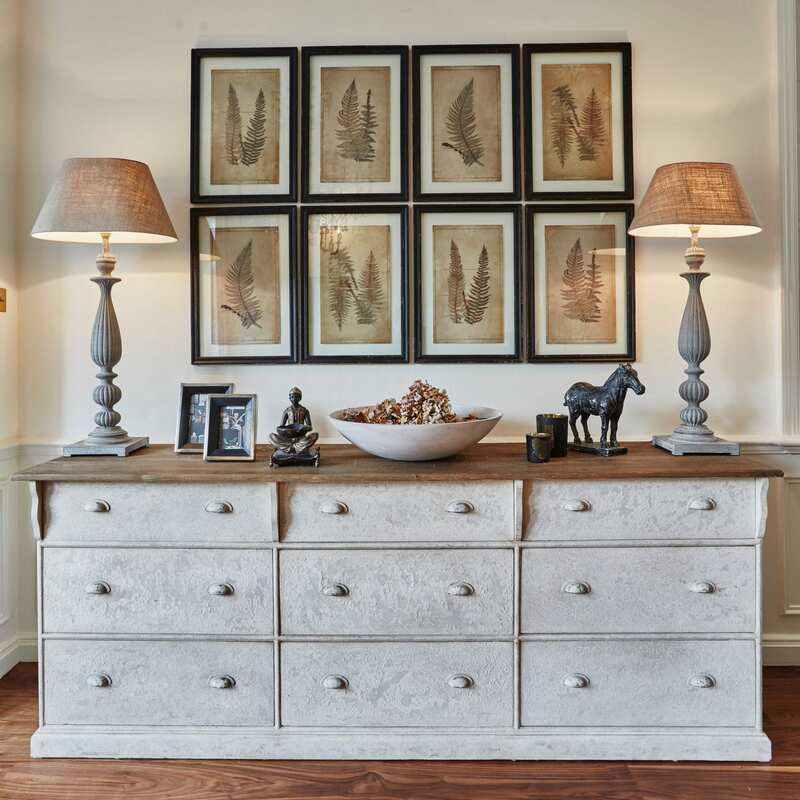 We love a statement sideboard. 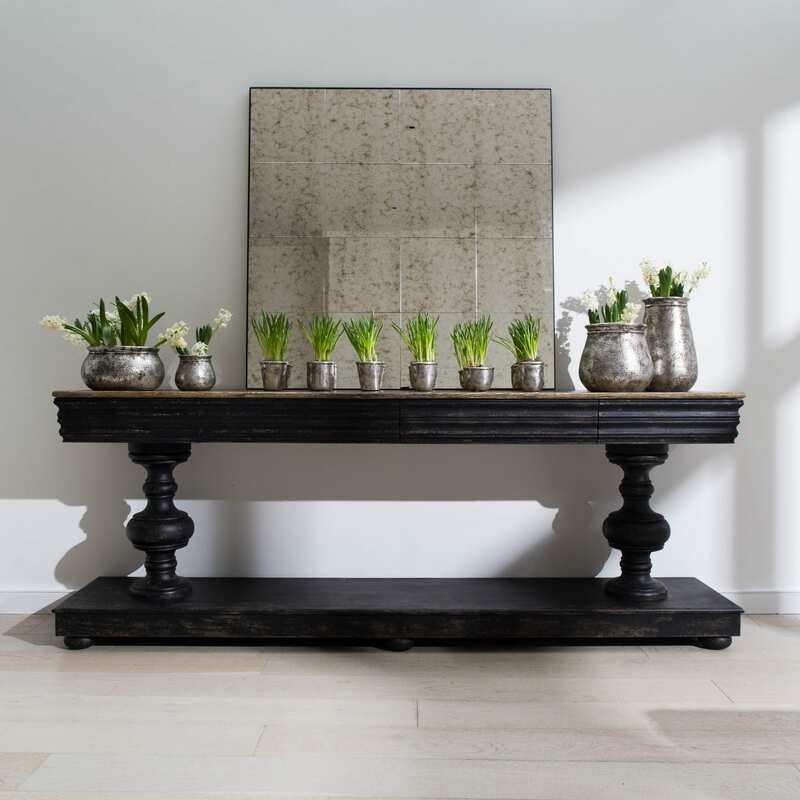 Adding a beautiful piece of furniture as the first glimpse into your home will add unique style. Whilst offering both display and storage options. Team with a stunning lamp with soft lighting to create warm ambience. 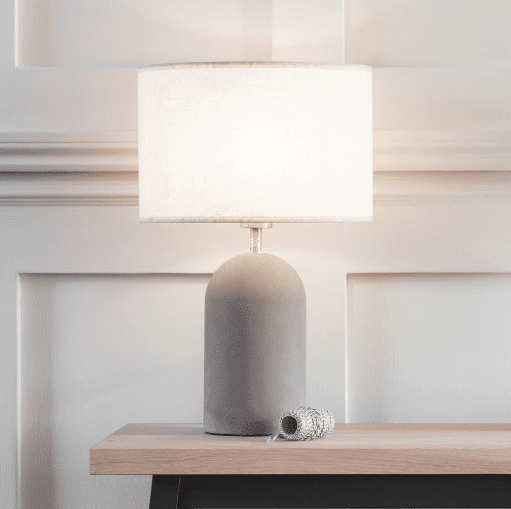 The concrete bullet table lamp is a perfect addition as the soft radius of the base adds a sense of calmness to the surroundings. 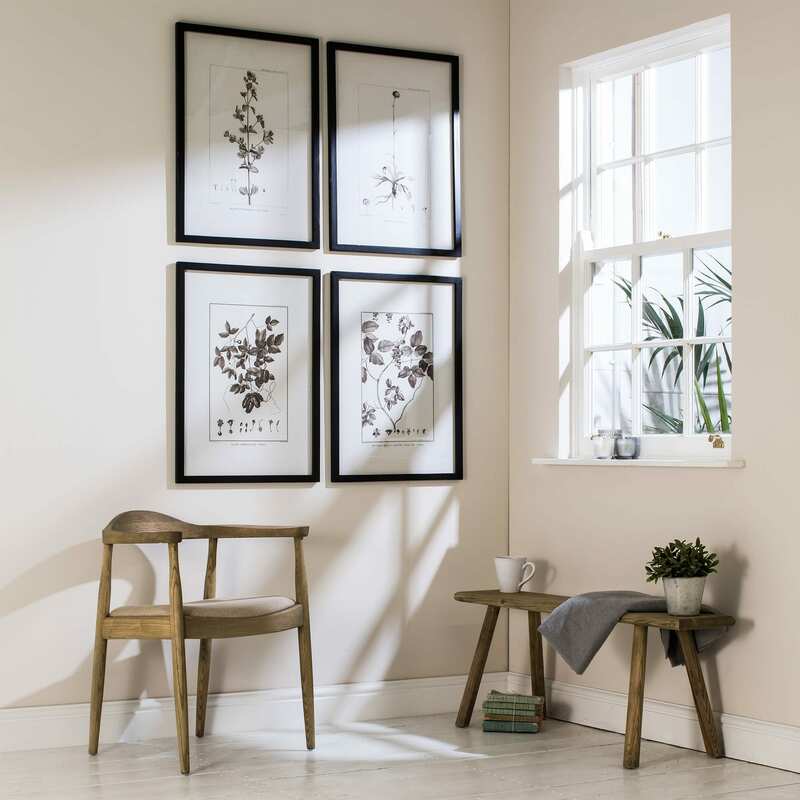 Make the final touches with artwork, prints and plants. 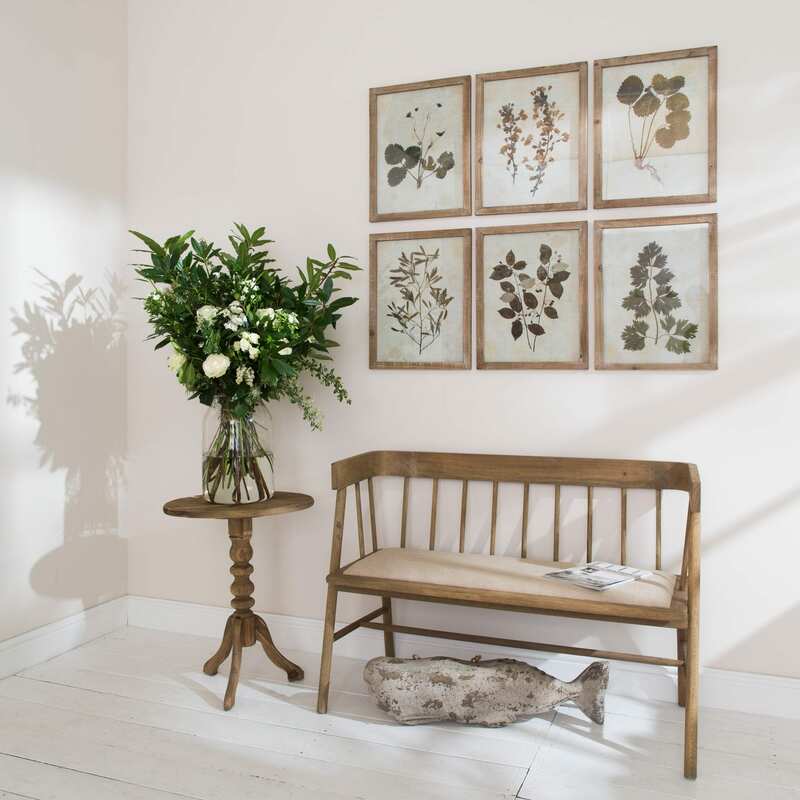 Set your stamp on a room with these beautiful leaf prints. Have six on their own or group all three designs together and make a real impact. Nothing says Autumn and Winter like a roaring log fire with a snoring dog curled up sleeping soundly. Add to the equation a comfy cosy sofa or chair, a good book and the softest merino wool throw to snuggle into. 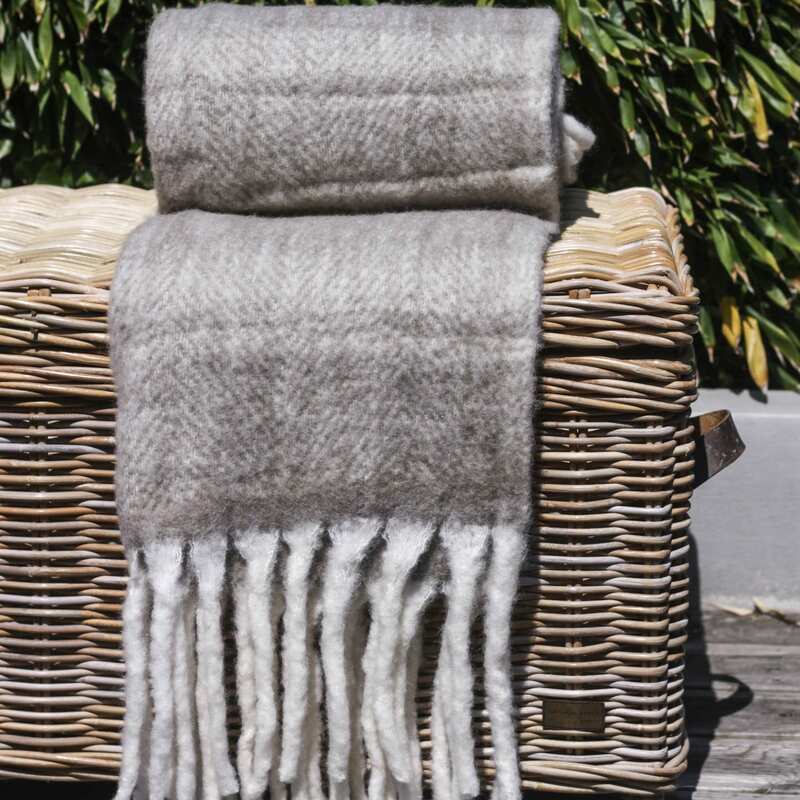 Our seasonal favourites are the Alpaca mix throw in chalk check or the cosy warmth of the Mathea Melange Khaki (pictured). Give your fireside a bit of love and attention with our timeless selection of fireside home accessories. 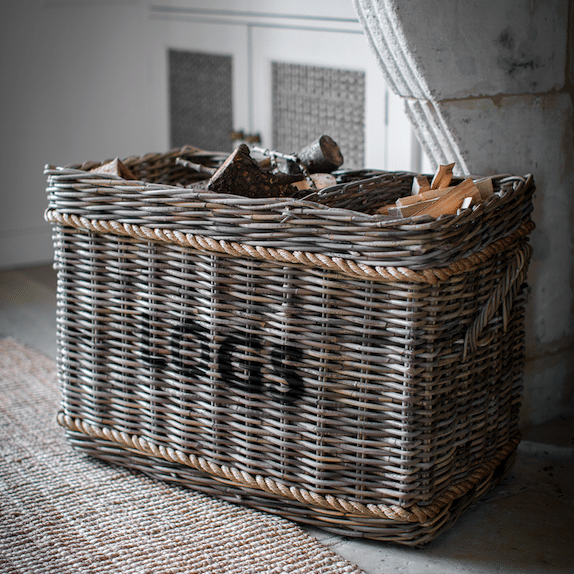 Filled with logs the Rope & Rattan Large Log Basket (pictured) is the perfect fireside accessory. Team with a stylishly simple kindling bucket finished in Carbon steel, featuring a central wooden grip for ease of carrying from log store to fire. We love a laid back look and feel to the home, however keeping it clutter free is often a tricky task. Books, magazines, toys, laundry strewn everywhere can spoil the look of your carefully designed interior. 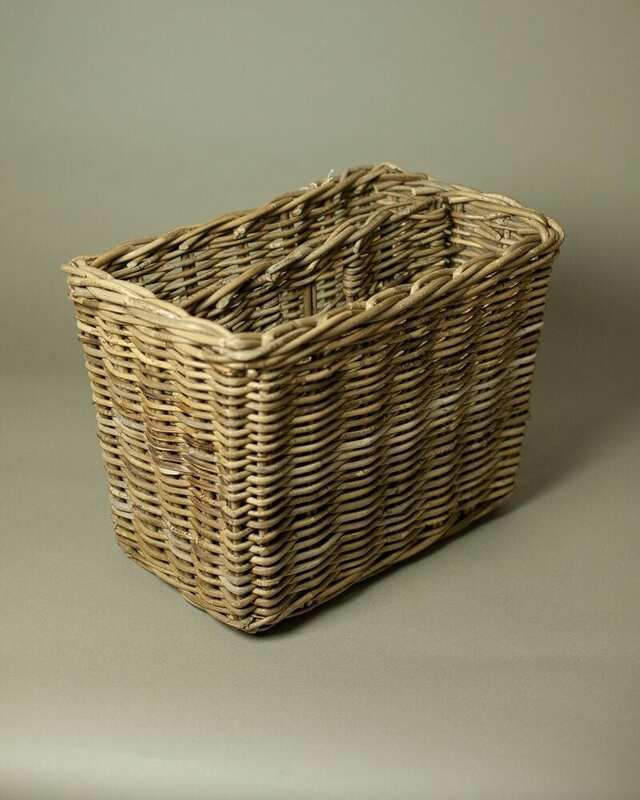 We have an array of beautiful storage baskets perfect for any part of your home. Clearing the clutter and looking stylish and decorative. 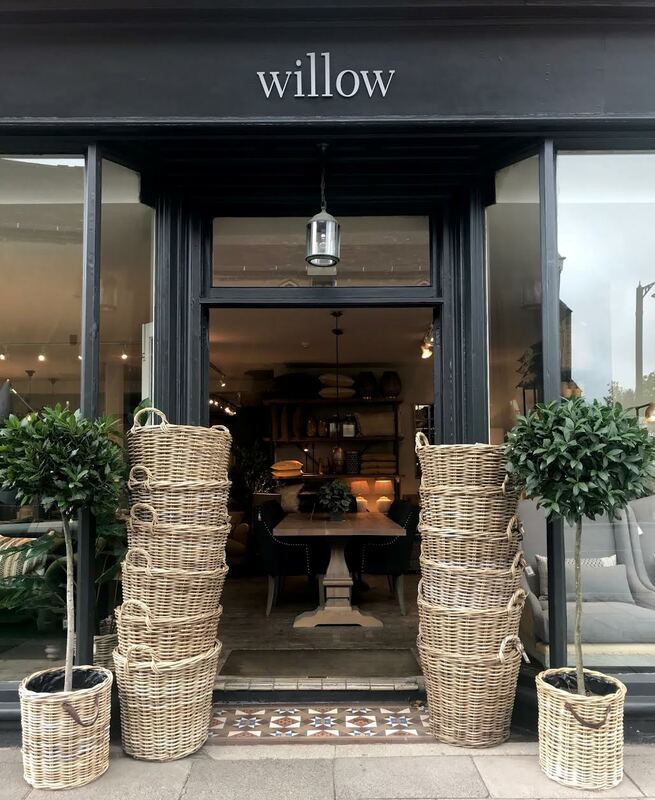 Sign up to our newsletter to keep up to date with Interior Design lifestyle tips, New products and In-store events.